1. The latest trend- You get every single information and guidelines of the newest trend, be it the boho chic, the vintage look, the gothic choice or the preppy outfit style, you get the trending fashion updates of your city as well as the places/people you keep a track on. You just need to put the right keyword in the search tab. 2. Every details for the fashionistas- Be it your friends, follower or your favorite celebrities... you are sure to find all the needed detail from where you can get hold of the dress or the shoe your idol is wearing, you surely have the deets at your fingertips. 3. Instant follower- Put your best dress on, your stylish shoe forward and follows one or two fashion icon or brand, you are sure to be followed back by 10 other fashion enthusiastic. Trust me; it’s like an instant response, surely because you have the same taste for sassy clothing like your followers, or mostly because you have that stylish aura to attract the fashion squad. 4. A destination for shopaholic- You join, you browse and you can buy with a click. The platform where you don’t only connect with like minded fashionable people but also get connected with well-known fashion brands where you can purchase the chic and savvy ensemble you want. You like em? You buy em. It’s a whole fashion package in one app. 5. More than just outfits- If you think you will find only pretty, trendy outfit in this site then you could be wrong because Roposo not only recommend updates on outfit style but also gives you details on anything from accessories choice, make up tips, hairstyle to nail art. So, it’s time you explore the site and find out what it is all about. You won’t be disappointed to get all the fashion related tips and updates. 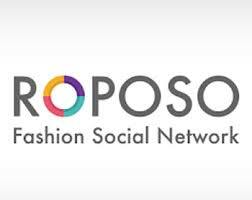 Join Roposo and be a style influencer around your circle, or get inspired from your followers style. Have fun sharing style! !